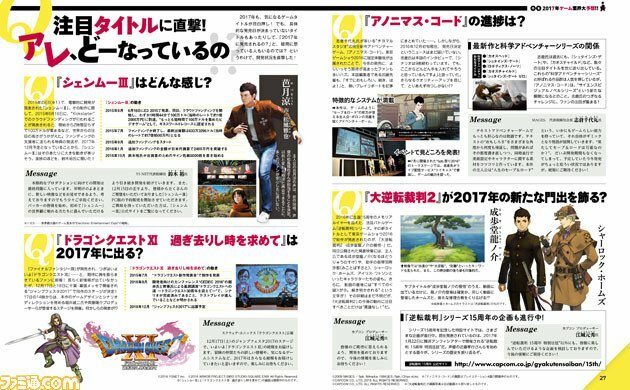 The weekly Famitsu magazine in Japan has released a few preview pages of their upcoming feature on expectations in the game industry for 2017 which goes on sale tomorrow (Dec 15). One of the games picked up is Shenmue III, and includes a short message from Yu Suzuki. "Development is in the final stage heading towards main production. I believe we will be able to show things like new videos some time early in the New Year. Development is continuing to move forward, and we aim to delight the backers as well as those who are new to the world of Shenmue. In addition, from mid-day on December 15th, following a great many requests, pre-orders for the PC version will commence. If you are interested, please view the official Shenmue III site." From this it can be seen that a great deal of ground has been covered to this point including the areas of Planning, Game Flow and Functional Testing. Once the current development work has been completed, the project will move to Main Production. 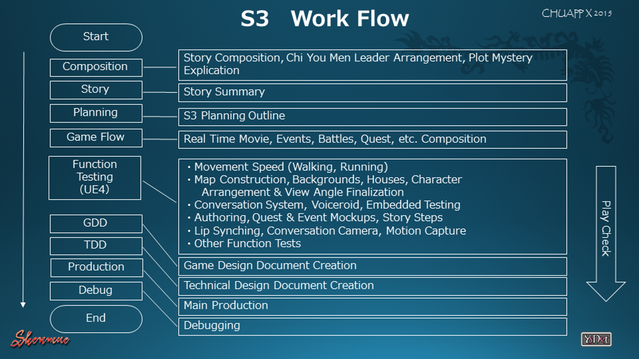 Following publication of Yu's message on social media, for additional clarity a tweet has also been sent out by Ryan Payton, who is a member of the advisory board for Shenmue III, to state that the development work being referred to is pre-production. Regarding the PC version, this is something that has been missing from the Slacker Backer campaign until now, so it is great news that it will now be made available as a reward (or "pre-order", as Yu refers to it in his message). It's still hard to believe even now!